Bacon wrapped plantains with a hint of sweetness from pure maple syrup and a little spicy thanks to a kick of cayenne pepper. 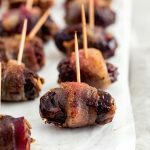 Everyone will be raving over this unique, easy appetizer! Meet my favorite appetizer that’s making an appearance at my wedding (in one week!) thanks to Fig Catering here in Chicago: bacon wrapped plantains. 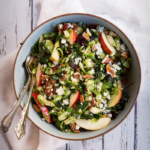 I know we are supposed to do weekend favorite on Fridays, but it’s almost Thanksgiving and I’m here to give you what you need: RECIPES! These bacon wrapped plantains are sweet, spicy and all things nice and I swear you guys are going to fall head over heels as soon as they pop out of the oven. And I have to say: they make an outrageously delicious holiday season appetizer. Hehehehe. First, let’s talk about plantains because I know not all of you may not be familiar. Plantains are also known as the ‘cooking banana’ and is very common in Latin American culture and often served with a meat such as pork or chicken and a side of rice and beans. Plantains are typically larger than the regular bananas you see in the store and are often green or slightly yellow with brown spots, very similar looking to a banana. Savory tostones (also known as fried plantains) are usually cooked when with plantain peel is still green. When I was little my mom would pan fry plantains with adobo seasoning and serve them to us at nearly every meal. Truth be told, I hadn’t thought about them in quite sometime until we decided to do a hispanic themed wedding menu. And now I’m FREAKIN’ OBSESSED! For these particular bacon wrapped plantains, I used a plantain that was a little yellow with brown spots and still firm. This is important for the recipe, because we want the plantains to cook, yet still be firm and edible. 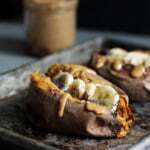 To make these, you’ll cut the plantain into 1/2 inch slices then wrap it with 1/2 a slice of bacon and place seam side down on a foil lined baking sheet. Then you’ll brush the bacon with a little pure maple syrup and a sprinkle of cayenne and bake! It’s that simple. Once they come out of the oven, the bacon with be golden and crispy and the plantain with be slightly sweet, yet still firm and infused with bacon flavor. It’s LOVE at first sight & bite. 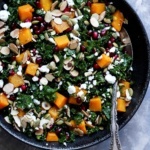 If you make this recipe, please leave a comment below and rate the recipe! You can also upload a photo and tag #ambitiouskitchen on Instagram. xo! 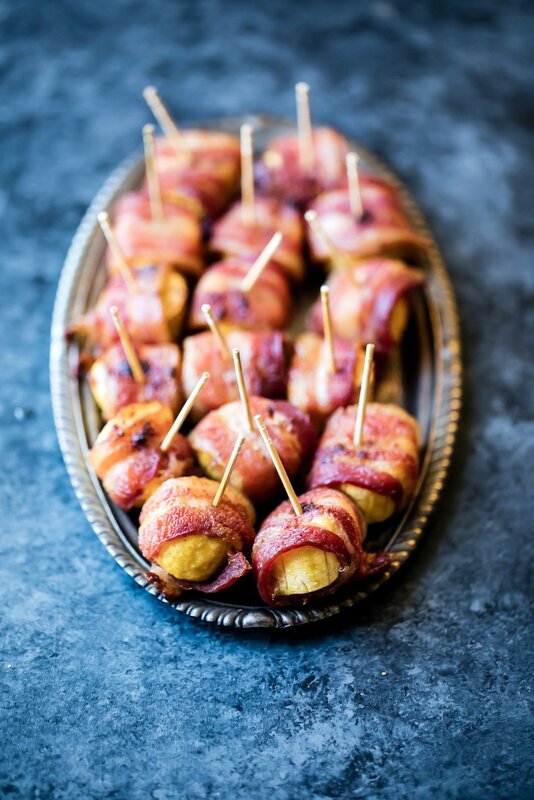 Sweet and spicy Bacon-Wrapped Plantains are the perfect, easy holiday appetizer! 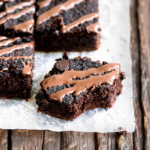 With hints of cayenne and delicious maple flavor, these are a guaranteed crowd-pleaser. Preheat oven to 375 degrees F. Line a baking sheet with foil. Slice both plantains into 1/2 inch slices. Cut your strips of bacon in half. Take one plantain slice and wrap ½ piece of bacon around the flat side of the round. Repeat this step until each plantain slice is wrapped in ½ slice of bacon. Place all bacon-wrapped plantains on your baking sheet seam side down. Brush each with a little maple syrup. Sprinkle cayenne pepper on each plantain (use more if you like spicy flavors, and omit or only use a small pinch if you do not like spicy flavors). Bake in the oven for 30-40 minutes until the bacon is crispy. 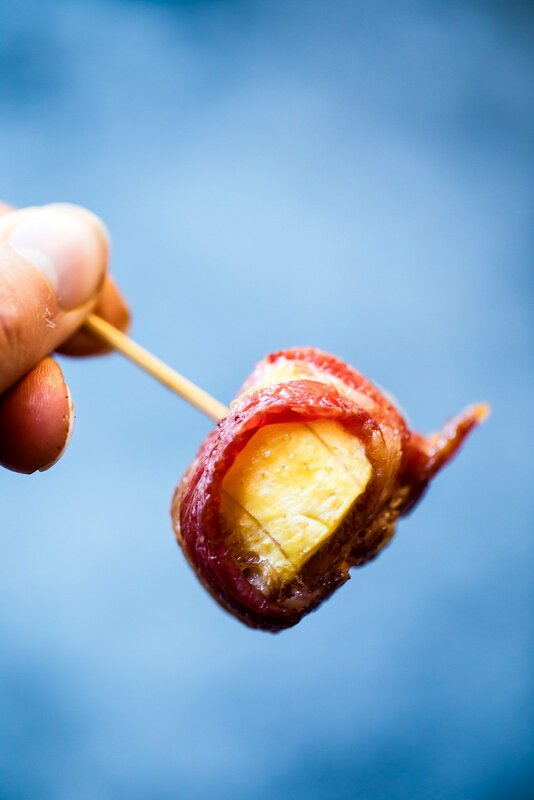 Stick a toothpick in each bacon-wrapped plantain, place on a serving tray and enjoy! Serves 6. 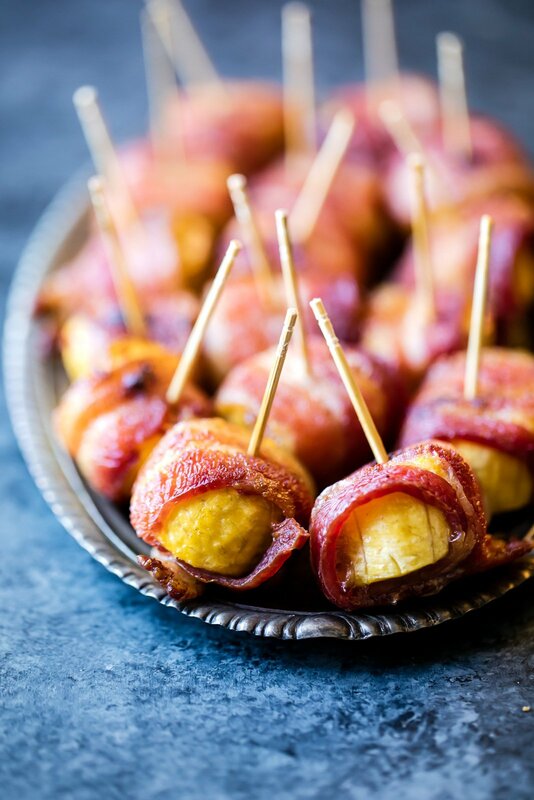 24 Responses to "Sweet and Spicy Bacon Wrapped Plantains"
Love this idea! I eat plantain chips and love them! Oh my gosh I love plantain chips. 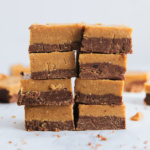 These are next-level delicious – promise! More plantain reciples, please! These look absolutely delicious. Love plantains! I don’t eat meat but might give these a shot with some Fakin Bacon! Love this!! I am invited to my Puerto Rican boyfriend’s family Thanksgiving and I have been trying to think of something to make and bring with. This is perfect!! This is the BEST! I hope you all enjoy them! This is seriously ultimate perfection! 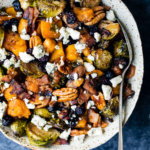 I am bookmarking these to make for Thanksgiving! And so excited for you, one week until you get married! Amazing – I hope you enjoy these! And thank you so much!! Can these be made ahead? I am looking forward to making this for my winter party! Hi Sheila! I would make these as close to the party as you can, but re-heating them should be fine! I tried this with guava preserve in place of the maple syrup. Yum!